Seems like ages since the last post, but my energy levels are still rising only slowly. 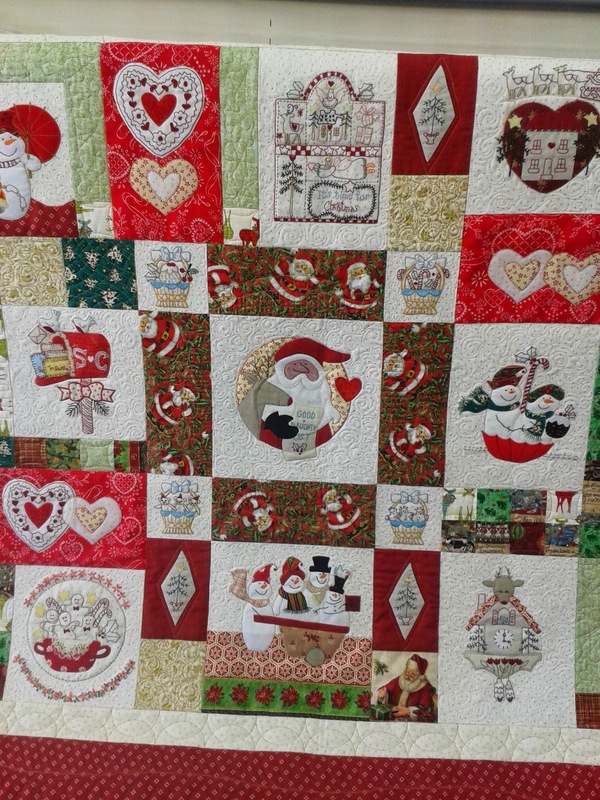 Here are the photos of Sheryl's Christmas quilt that is now finished. It came up really lovely and will look great on her wall over the festive season. Here are a few more photos of the details. 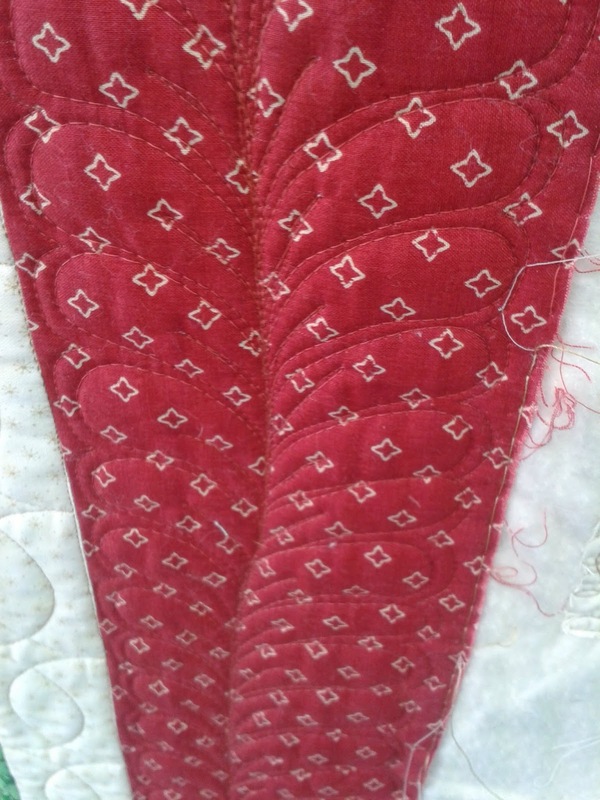 Thanks Sheryll, I enjoyed quilting for you. 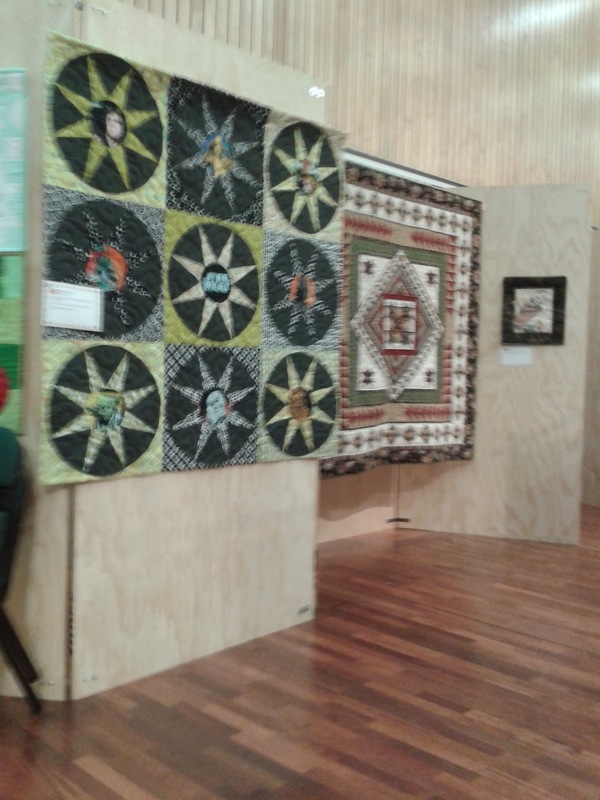 Then it was off to Carterton, Wairarapa for the Master Quilters Guild exhibition. It was a lovely day with the snow on the ranges looking stunning and the feeling of spring in the air. 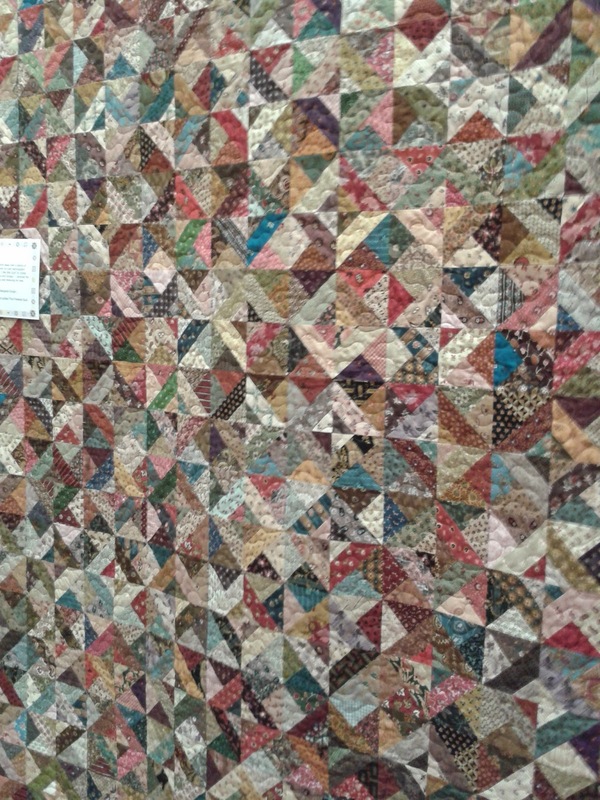 (Pity it didn't last long) Here are some of the lovely quilts we saw. 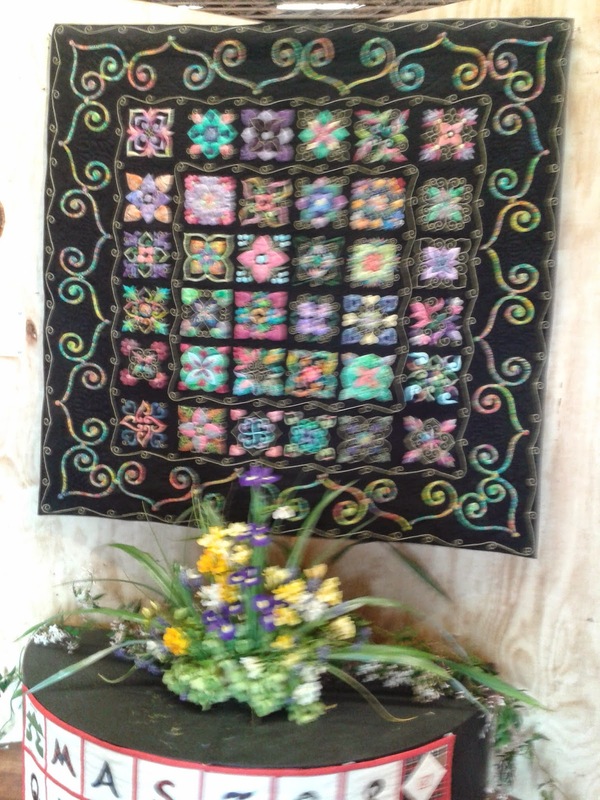 I just love the colours of this one made by Noeline. 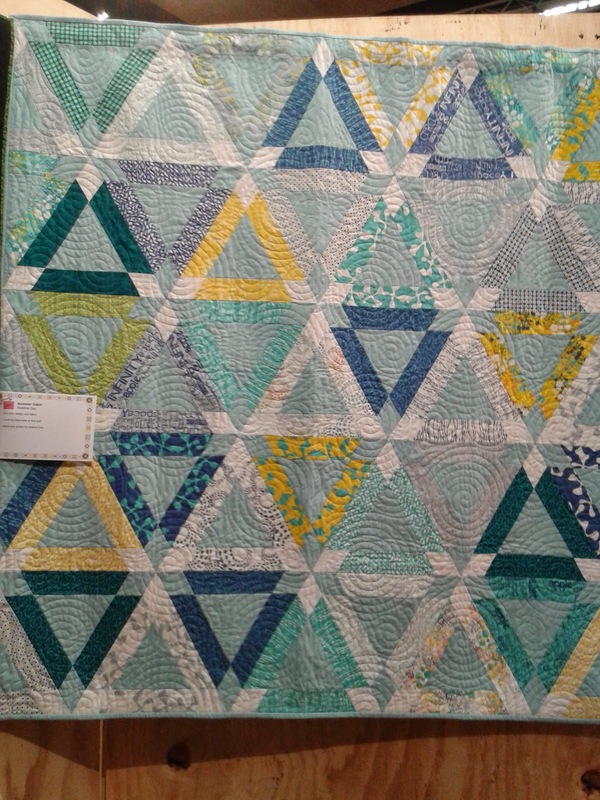 An awesome scrap quilt made by Pauline. 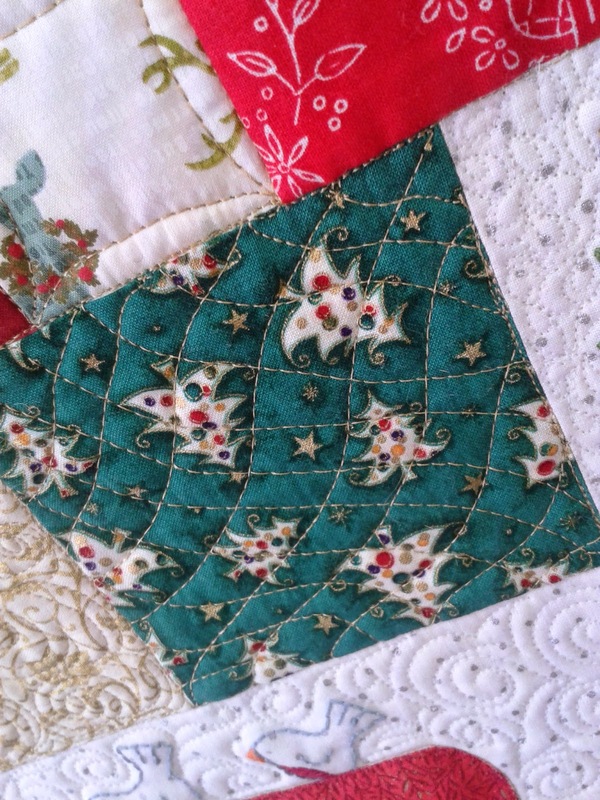 Maria Travers won a Mayor's Choice Award for this beautiful quilt which is also hand quilted. Stunning and has more colour than this shows. 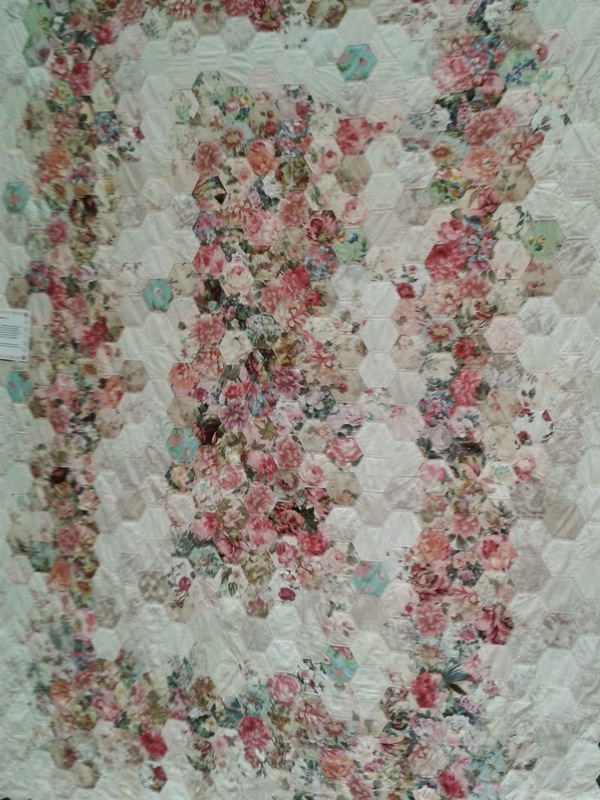 The soft colours of this hexagon quilt are quite delicious. Wish I had the patience to make one this size. 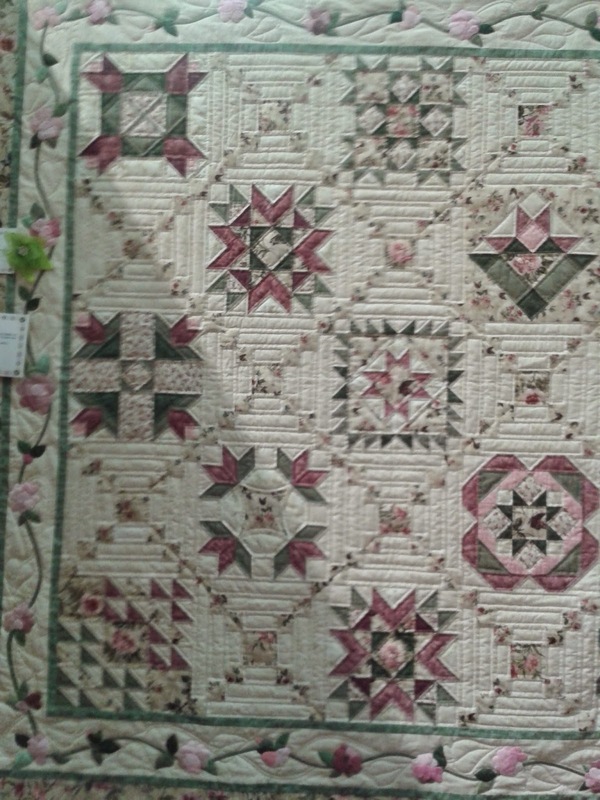 Sorry my photos are not up to scratch this time around, but there were some fantastic quilts on display. Okay, that's your lot for tonight. It's time I got some beauty sleep as you can see from this photo!!! 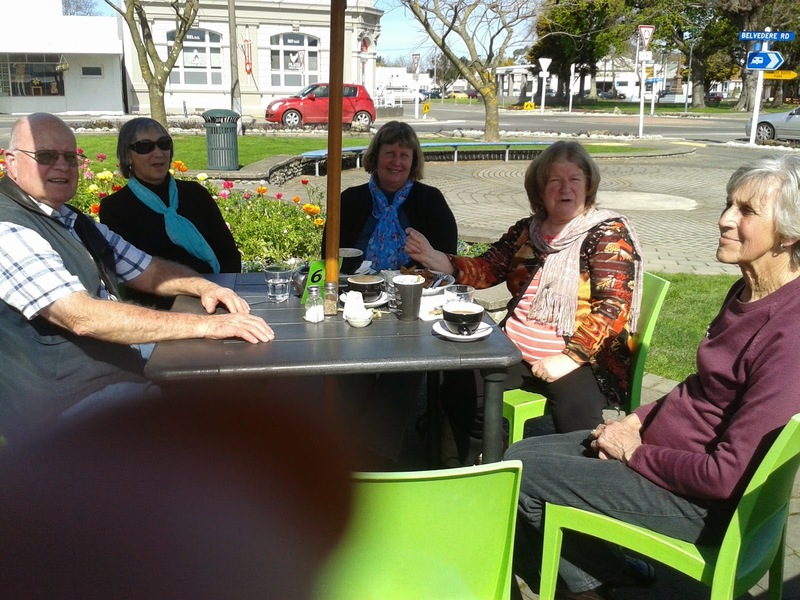 We are off to Wellington tomorrow to stay with Richard and Kea, Wednesday we fly to Auckland for a Janome day and then stay in Wellington again, coming home some time on Thursday. Sounds good to me. Take care you all and see you again soon. 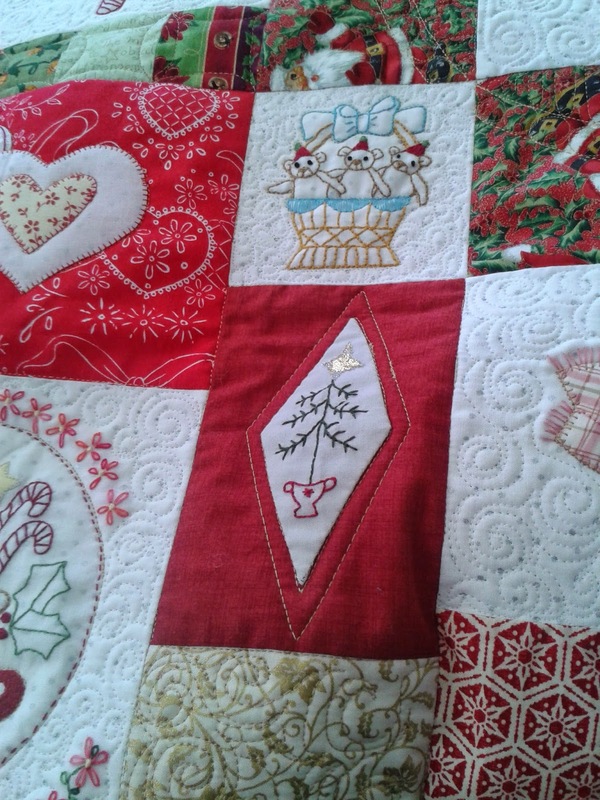 Your Christmas quilt is lovely! What a lot of work.